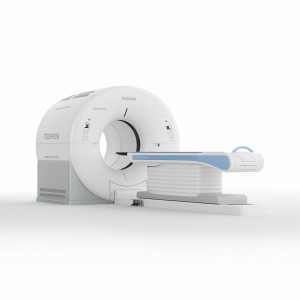 News – Page 2 of 2 – Canon Medical Research USA, Inc. News – Page 2 of 2 – Canon Medical Research USA, Inc.
Oncology departments can now provide their patients with a better PET/CT imaging experience using Toshiba America Medical Systems, Inc.'s all-new Celesteion (pending 510(k) clearance). The versatile system combines high performance PET and CT for all radiation and oncology imaging needs, including tumor detection, treatment evaluation and CT simulation. "By listening to our customers and understanding their business, we know there is a need for a PET/CT system that puts patients first, and the Celesteion is that solution," said Satrajit Misra, senior director, CT Business Unit, Toshiba. "Accuracy and efficiency are crucial under healthcare reform, and Celesteion is capable of producing high quality images while improving workflow for providers." 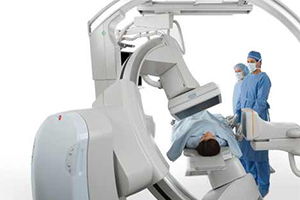 Toshiba's Celesteion is being unveiled for the first time at the Society of Nuclear Medicine and Molecular Imaging (SNMMI) meeting, June 7–11, 2014, in St. Louis. Toshiba Corporation (Tokyo: 6502) today announced that it has concluded a contract with the Japan Atomic Energy Agency (JAEA) for the manufacture of toroidal field coils for the International Thermonuclear Experimental Reactor (ITER) being constructed in Cadarache, France. Keihin Product Operations and Toshiba IHI Power Systems Corporation will begin manufacturing the coils the end of this month. The ITER facility will have a total of 18 coils and initiate plasma experiments in 2020. Toshiba has been commissioned to manufacture four toroidal field coils and six containers to hold the coils, and will start deliveries in 2017. Toroidal field coils are used to produce strong magnetic fields that confine the high-temperature plasma necessary for nuclear fusion to occur. The ITER project aims to demonstrate nuclear fusion as a viable future energy source. The project is funded and run by seven member entities: Japan, the European Union, the United States, Russia, China, South Korea and India. Thermonuclear fusion occurs in high temperature deuterium-tritium plasma at the order of 100 million degrees Centigrade, and the heat produced by the fusion reaction is used to generate electricity. Because the source of nuclear fusion fuel is abundant in nature, thermonuclear fusion, once proven, is expected to become a perpetual source of energy. Toshiba has long been involved in the research and development of nuclear fusion technology, participating in design activities and supply of equipment. Toshiba has manufactured equipment, such as coils and power supply systems, for the JAEA Naka Fusion Institute's JT-60, the National Institute of Fusion Science's Large Helical Device and for other institutes in Japan and overseas. In March 2014, Toshiba delivered sectors of the vacuum vessel for JT-60SA, a successor to JT-60. Toshiba will continue to leverage its technologies to contribute to the research and development of leading-edge technologies. Toshiba Corporation (Tokyo: 6502) today announced that it will promote acceleration and expansion of its healthcare business by consolidating Toshiba Group's healthcare-related businesses in a new in-house company, the Healthcare Company, that will be established on July 1. As the global population continues to rise and the developed economies continue to see the graying of society, the healthcare market is expected to enjoy continuous growth in coming years. 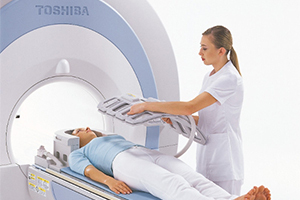 The Healthcare Company will position Toshiba to grow with the market. The new company will integrate a wide array of know-how and technologies and deploy them to promote business in following key areas: Diagnosis & Treatment, which will explore new generations of diagnostic imaging in addition to current systems; Prevention, which will aim to reduce the risk of disease; and Convalescence & Nursing Care, which will aid people in recovering from disease and injury. On its establishment, the new in-house company will be around 9,000 people scale. 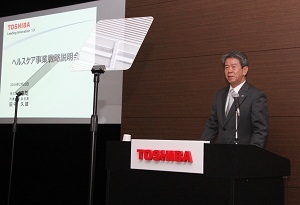 The Healthcare Company will absorb Toshiba's current Healthcare Business Development Division, the carbon iron radiotherapy system currently handled by the Power Systems Company, the Materials & Devices Division's DNA analysis system, and other healthcare businesses from across Toshiba Group. 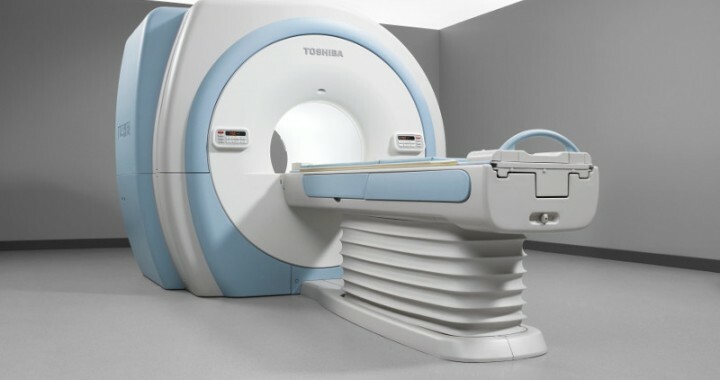 Toshiba Medical Systems (TMS), which develops and markets diagnostic imaging systems, including computed tomography and magnetic resonance imaging systems, and medical IT systems, will be positioned as a subsidiary of the Healthcare Company. With global experience spanning more than 135 countries, TMSC will contribute a strong customer base and business assets that will support the new company in integrating and aligning its business operations. In July 2013, Toshiba defined Healthcare as third major pillar of business, alongside Energy and Storage, and in February 2014 the company announced its strategies for the healthcare business and a fiscal year 2015 sales target of 600 billion yen (approx. UD$6 billion). In keeping with this commitment, Toshiba has now decided to unify all of its healthcare businesses into the new in-house company. By promoting "New Concept Innovation," the Healthcare Company will bring together the wide-ranging technologies of Toshiba Group to create unique, innovative products and services, and to reinforce and expand its business via diverse sales channels.